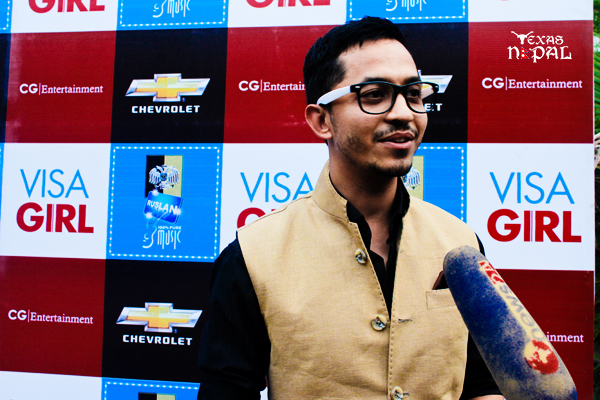 On Thursday, 21st June, Moksh at Pulchowk was abuzz with the who’s who from film, music and media fraternity. 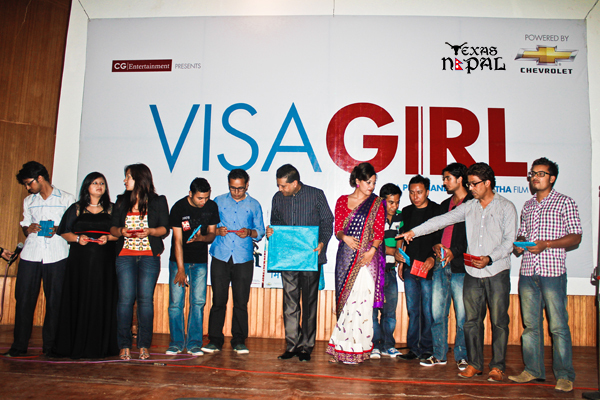 The gathering witnessed the launch of audio, official first look and website for the highly awaited movie Visa Girl which is slated for a 28th September release. Releasing under the banner of CG Entertainment, the film has been directed by Prachanda M Shrestha and stars Reecha Sharma, Vinay Shrestha, Karma and Ramon Das Shrestha making his acting debut. 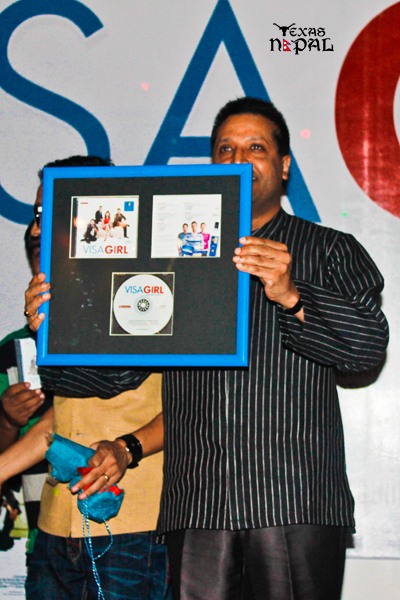 Its poster was revealed by Annie Gardner Vaidya while renowned businessman and lyricist Basanta Kumar Chaudhary did the honours of unveiling the soundtrack CD. Quest Entertainment Chairman Nakim Uddin launched its official website. The event also had musical performances with Santosh Lama and Shreya Sotang singing one song from the movie each. It has a total of five songs. texas Nepal viewers might wanna see this unofficial poster too. made by myself.